Shop online and Support Healing Rooms at the same time! Have you been looking for a way to financially support the work of Healing Rooms Ministries without any extra effort or cost on your part? Do you shop online at Amazon.com? Then we have an awesome answer for you! Amazon offers customers an incredible opportunity to support their favorite charity. 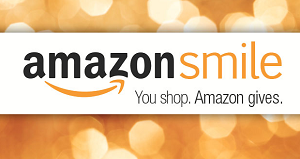 It just takes a few clicks of your mouse to set up your smile.amazon.com account and then .5% of every dollar you spend on Amazon goes to further the work God is doing through Healing Rooms Ministries. It couldn't be easier! Healing Rooms Ministries is a registered 501(c)3.